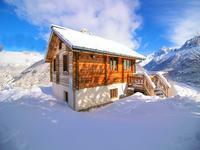 6 bedroom ski chalet for sale in Chamonix Mont Blanc. Great views, garden, hot-tub , sauna . An hour from Geneva . 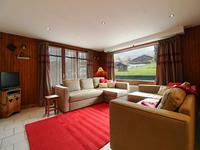 In a quiet residential area with easy access to all ski areas of the valley. 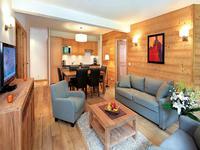 Four bedroom ski chalet for sale in Les Houches (Chamonix valley). Great views. An hour from Geneva. 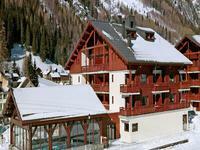 In a quiet area, with easy access to all ski areas of the valley. Don't miss the 360º virtual tour only on the Leggett website. 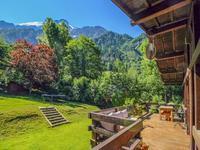 Five bedroom ski chalet for sale in Les Houches Le Lac (Chamonix valley). 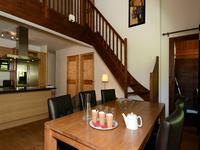 In a quiet residential area with easy access to all ski areas of the valley. Great views. An hour from Geneva. Don't miss the 360º virtual tour only on the Leggett website. 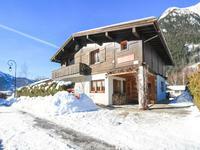 Beautiful four bedroom plus study 152m2 Trappier chalet with stunning views in Les Houches. 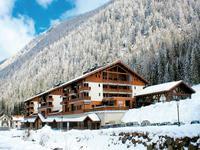 4 bedroom ski apartment for sale in Vallorcine , Chamonix Valley . Balcony, swimming pool, great views, close to the cable car . 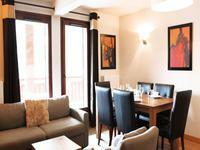 Ski apartment for sale in Les Houches. Ground floor and very close to amenities. Great views on the Mont Blanc. An hour from Geneva. 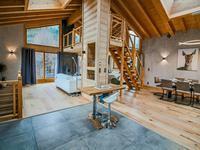 Sold furnished.Only 2 kilometers to Bellevue ski lift. Don't miss the 360º virtual tour only on the Leggett website. 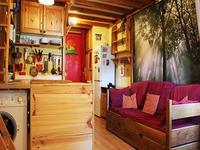 1 bedroom ski apartment for sale in Vallorcine, Chamonix Valley. Balcony, swimming pool, great views, close to the cable car. 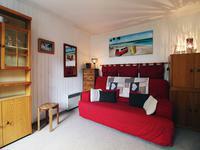 Lovely studio with a large balcony for sale in Les Bossons - Chamonix Mont Blanc, in a quiet neighborhood. Great views. An hour from Geneva. 5 km from the centre of Chamonix, and Les Houches ski lifts. Close to hiking trails. Chamonix has been welcoming travellers and adventurers for over two and a half centuries and can be truly described as an outdoor enthusiast's paradise. The mountain scenery surpasses one's wildest expectations and the Mont Blanc, jewel in the Alps crown, sits majestically over the Chamonix valley. Skiing is what has made Chamonix so famous, featuring in many high adventure ski and board films, and although the areas are separate and you have to catch buses or drive to most ... well. That doesn’t seem to matter to the enthusiastic, “can’t get enough” of this beautiful place brigade who whether they are skinning up, lifting up, walking up or flying up are always looking up to the heights and wanting to try something more daring and adventurous. That’s not to say that anyone other than advanced skier won’t get anything out of it. In fact I came here as an intermediate skier and fell in love with the place – it inspired me – both my skiing and love of the mountains was enhanced from my many visits here. And besides skiing... many of the lifts and cog railways also give access to exceptional viewpoints and mountain restaurants. Chamonix is a vibrant alpine town with a wonderful architectural heritage that bears witness to a wealth of history. The Priory, alpine farms, baroque churches, art deco buildings and palaces from the "Golden Era". The cosmopolitan atmosphere in this small town is captivating. There is an excellent alpine museum and exhibition centre in the centre of Chamonix and for those who wish to delve a little deeper into the history of the valley, a heritage guide will be delighted to share her knowledge with you during a weekly visit of the town. Take advantage of the free public transport and discover the outlying villages and hamlets, each with their individual identity and charm. For those in search of a little retail therapy, they will be delighted by Chamonix's pedestrian centre with its wide selection of attractive boutiques. If you enjoy watching the world go by, what better place than one of Chamonix's sunny street cafés! The valley also offers a vast gastronomic choice, from rustic mountain restaurants serving Savoyard specialities, to the chic of the Michelin starred Albert Premier, from international dishes to nouvelle cuisine, each visitor will find something to suit their palette! 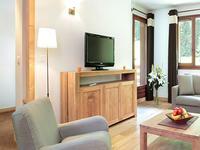 In Chamonix luxury living meets rough mountaineer and both come out looking good. Chamonix is not your normal ski resort or ski area. It could not be more different from the standard purpose built French resort. You really need to work hard to earn a variety of turns and unless you are based next to one of the half-dozen separate mountains and stick to it, you have to drive or take a bus each day. There is all sorts of terrain, but the place really makes sense as a destination only for the expert and the adventurous would-be expert.... but hang on there are several areas just for beginners. No it’s not really ideal - Chamonix is neither convenient nor conventional. The Chamonix valley cuts deeply through Europe’s highest mountains and glaciers. The runs it offers are everything really tough runs should be – not only steep, but high and long. If you like your snow and scenery on the wild side, give Chamonix a try. But it is addictive. You either “get it” or you don’t, it’s as simple as that. And be warned: if you are one of those that do get it .....you may never go home! 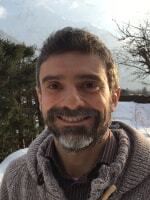 Let’s look at the various ski area; The Grands Montets (1235 m - 3300 m). The pistes are spread over 3 mountainsides (the Argentière glacier, Lognan and the Pendant) and offer tremendous on and off-piste possibilities. Ski or board adjacent to the glacier and take advantage of excellent snow conditions right up until early May. For freestyle fans, a new snowpark and boardercross are open at the mid-station of Lognan. Brévent / Flégère (1030 m - 2525 m). These 2 ski areas have been linked by a cable car since 1997 and offer one of the most outstanding panoramas of the Alps. 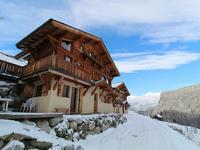 South-facing slopes with a wonderful variety of pistes and enviable views over the Mont-Blanc Massif. Gently acquire a tan in this idyllic environment whilst enjoying skiing on slopes adapted to all skiing abilities. Le Domaine de Balme (1453 m - 2270 m) Accessed via the villages of Le Tour and Vallorcine, the snow-covered alpine pastures offer numerous possibilities on two distinct mountain sides. From Charamillon, enjoy the wide open gentle slopes overlooking the entire Chamonix valley and on the Vallorcine side, ski beautiful tree-lined pistes bordering on Switzerland. 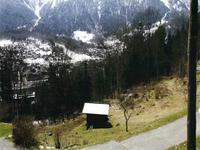 Les Houches (950 m - 1900 m). Family resort whcih also caters for all types of snow fun. It has 18 lifts and 55kms of Piste with a world cup run and tree skiing. There are also low valley ski areas aimed very much at beginners and intermediates. Les Planards (1062 m - 1242 m) Just 2 minutes from the centre of town, large ski area for beginners and intermediate skiers with 4 runs (1 red, 1 blue and 2 greens). 41 snow canons guarantee conditions all winter long. Restaurant, sun terrace and free parking. La Vormaine (1480 m) Beginners skiing at the foot of Charamillon on the Balme ski area, these sunny slopes are ideal apprentice skiers and snowboarders, as for little ones (ski kindergarten run by the ski school). Les Chosalets (1230 m) Beginners skiing Situated at the entrance to Argentiere, just 500m from the Lognan/Grands Montets cable car, ideal ski area for beginners and great fun for children.